Copyright © 1998 - 2012 by M. Mukerji. 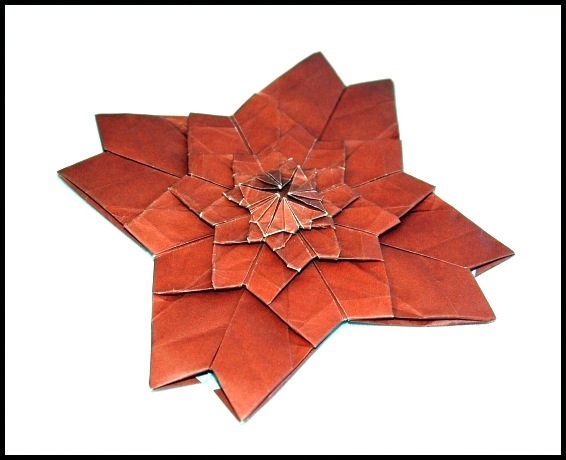 All models designed and folded by M. Mukerji. 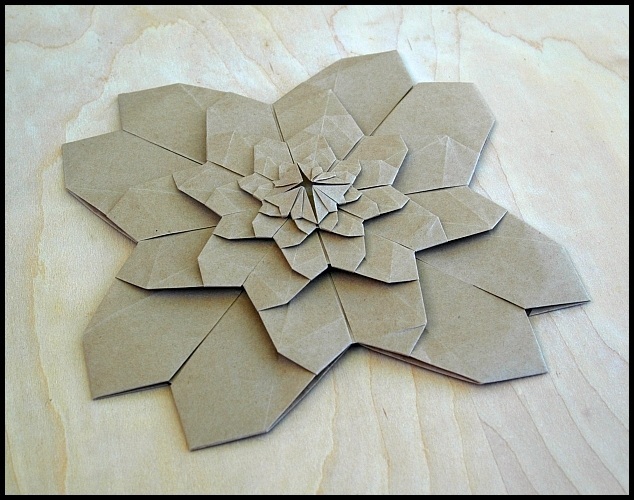 This design is inspired by Shuzo Fujimoto's Hydrangea and Roman Diaz's Fractal Flower. 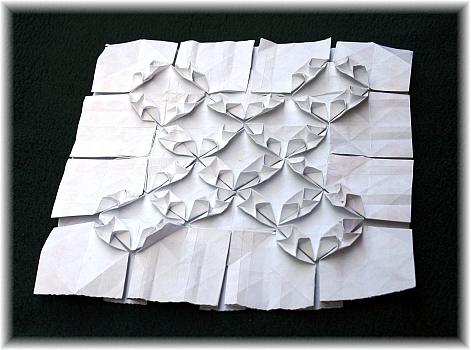 The reverse side of Fractal Sakura. 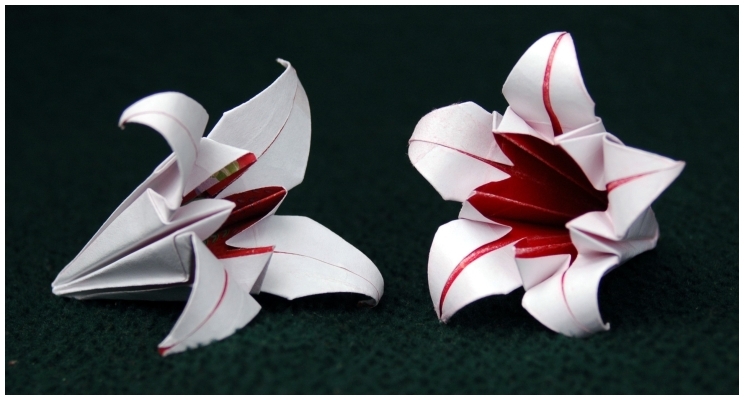 Fractal Sakura 2 - a minor variation with slightly tapered petals. 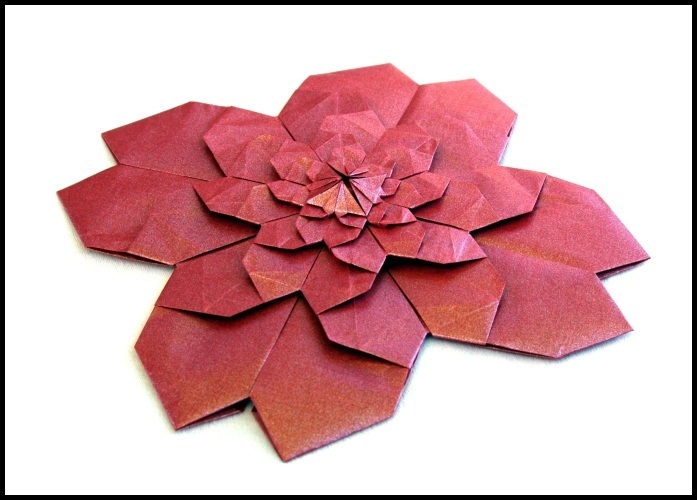 Another view of the Fractal Sakura. 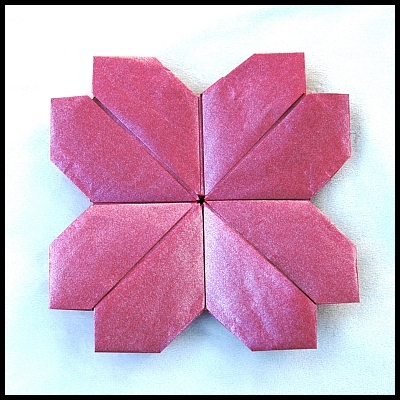 Fractal Blossom is a minor variation of the Fractal Sakura above. 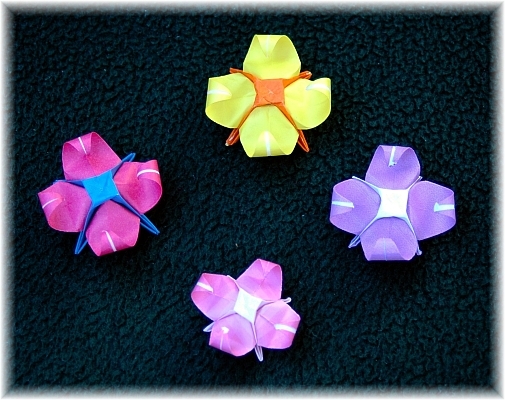 My Variations of Ligia Montoya's Hexagonal Flower, created 2012/2011. 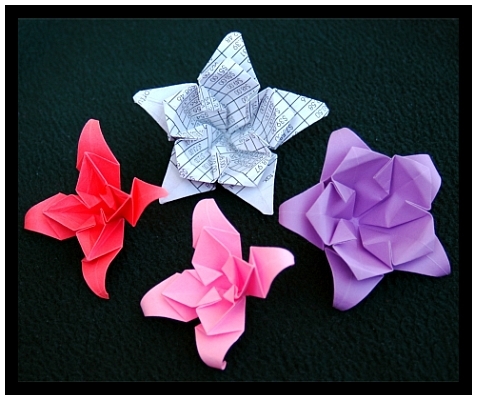 Ligia Montoya's Hexagonal Flower (left) and my pentagonal, square and octagonal versions of it. 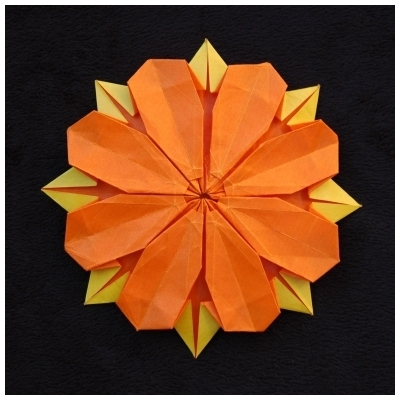 Heart Masu Box by Darren Scott and my Butterfly, Flower and Shamrock Variations, created 2011. 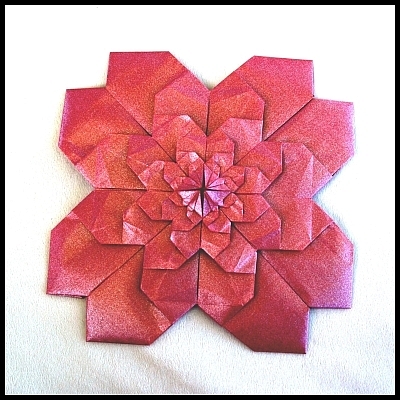 A Fractal Tessellation and Variation, created 2009.
out that it is nothing but J.C. Nolan's Andrea's Rose. I made the tips at the center point upwards. A variation of the fractal. 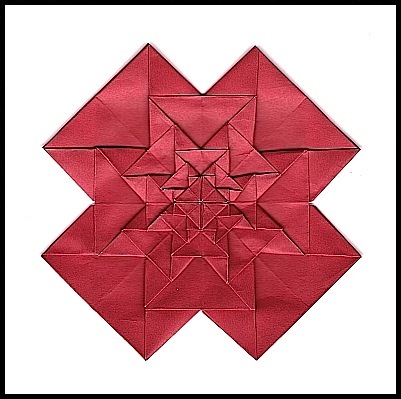 A Square Grid Tessellation, created 2009. 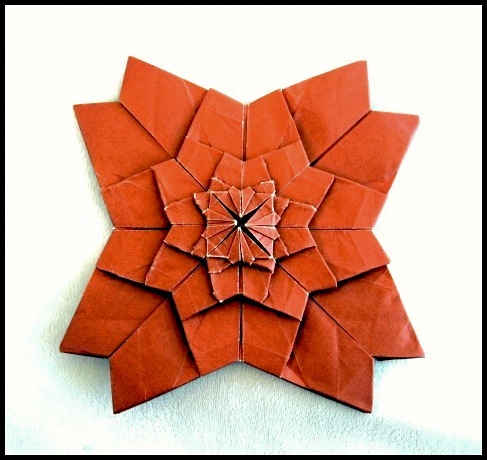 Saar Star by Endla Saar (left) and my Flower Variations, created 2008.
of flowers look nice. 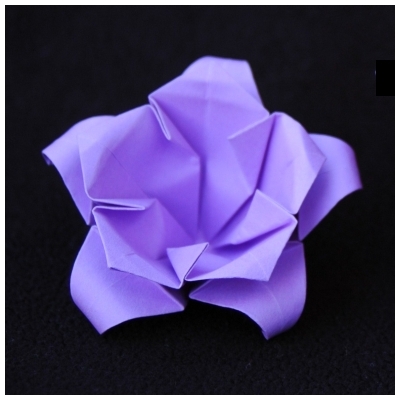 The color change is a result of either using harmony paper or folding two color papers of different sizes together. Tuberose and Oleander, created 10/2006. Tuberoses (red and pink on left) and Oleanders. 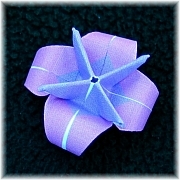 The Oleanders are pentagonal versions of the Tuberoses. 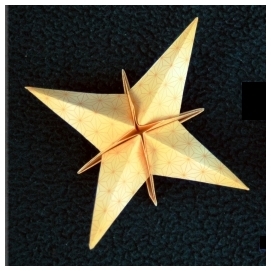 My Pentagonal Lily (right) is just a pentagonal version of the traditional Lily (left). This was my first experimentation with paper other than squares.